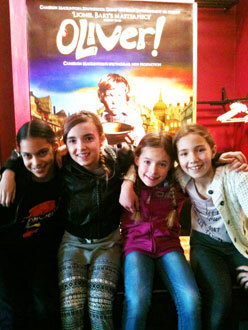 Cristianna, Annabelle, Holly and Jessica successfully auditioned to appear in the professional production of ‘Oliver!’ at the Birmingham Hippodrome for six weeks during March and April 2012. The show starred Brian Conley and Neil Morissey as Fagin and Samantha Barks from the TV talent show ‘I’d Do Anything’ as Nancy. The girls were on stage for several acting scenes and they also joined the rest of the cast to perform three song & dance routines: ‘Food Glorious Food’, ‘Consider Yourself’ and ‘Who Will Buy’. 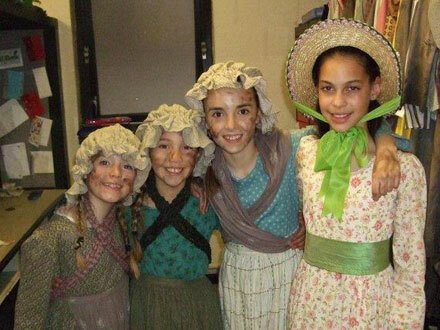 It was an excellent production to be a part of – well done girls!